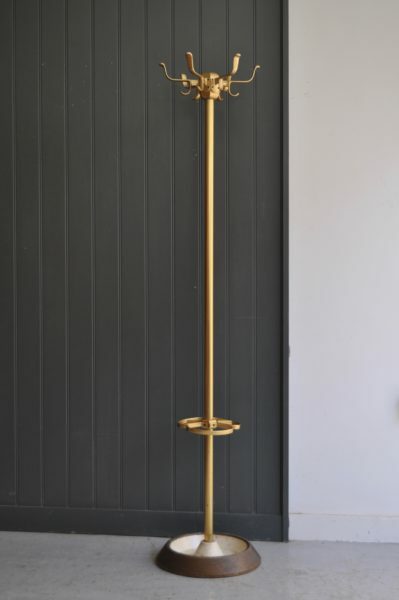 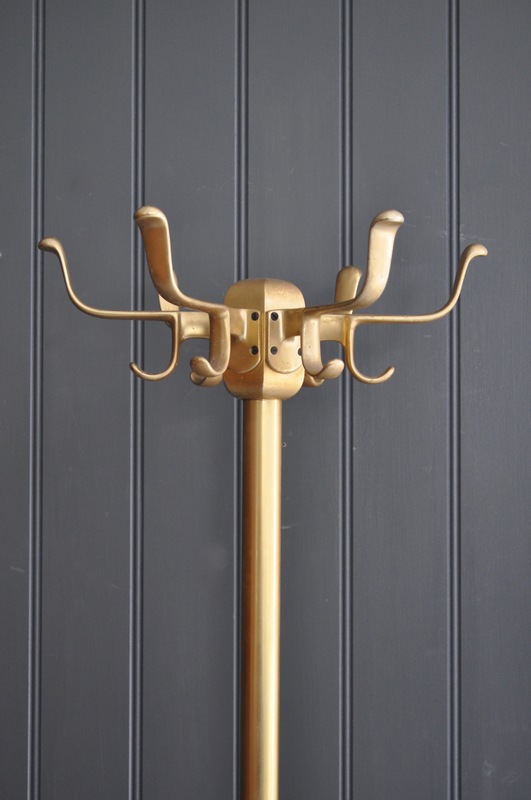 Stylish Belgian coat stand with brass coloured anodised crown and stem, and a heavy cast base on original paint. 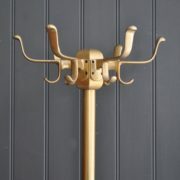 A lovely design, with six double hooks, and an umbrella and stick stand below. Nice untouched original condition, with some wear to the base in-keeping with age.